Dinner & Cruise with Live Music at 19.00 – 21.00 (50 % discount) Dates in 2018: Every day at 19.00 – 21.00, except 14. February, 20. August, 24. and 31. December. Enjoy a romantic private bath and massage in Gellért Spa’s Ornamented Bath Hall. You choose the date and time that best suits you, for both the bath and massage (appointment request in e-mail after booking)! This part of the Gellért is secluded from the rest of the spa complex so you can have complete privacy. The Zsolnay-tiled bath is filled with healing water for your complete reinvigoration. 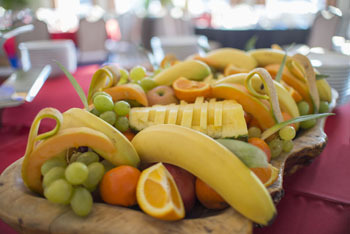 During the 3-hour bath you are treated to a bottle of chilled champagne and a plate of fruits. After the bath you can enjoy a wonderful, refreshing Harmony Massage for couples (lasts 60 min.). 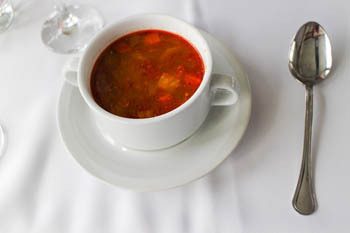 To make the romantic program complete you’ll go on a sightseeing tour with Dinner & Live Music on the Danube (you get this for 50% less in the package). Private Bath with sauna, a glass of chilled sparkling wine and fruit tray for 2 persons, 2 sauna cloth sheets. Various fragrances have beneficial effects, when absorbed directly through the skin. The oil massage stimulates blood circulation; the volatile oils embrace the body and take their effects through inhalation. It helps body purification, strengthens the immune system and makes the skin more elastic and silky, revitalizing the tired cells and rejuvenating the mind and body. 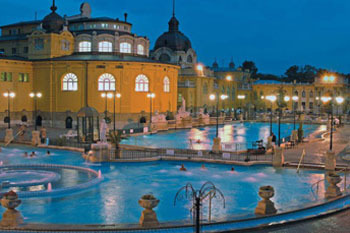 Location: Gellért Spa, Ornamented Bath Hall, Address: Kelenhegyi út 4., Budapest 1118, district XI. Private Bath with Sauna a glass of chilled sparkling wine, fruit tray for 2 persons, 2 sauna cloth sheets. Meeting time: 30 minutes before departure. All of our ships are air conditioned/ heated and have panoramic windows. 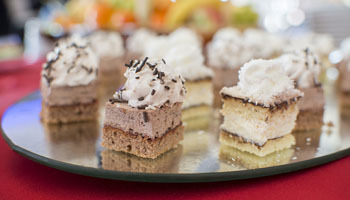 Buffet-style dinner (includes a welcome drink and another glass of wine sparkling wine, or beer or soft drink). 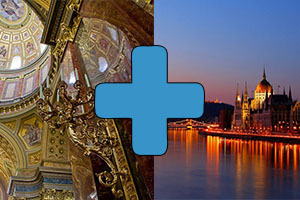 TIP: Find out more about our Budapest Evening Cruise with Dinner or browse among our other Budapest river cruises. Entry to the Gellért Bath with cabin use for 2 persons. Two sauna cloth sheets are also included.